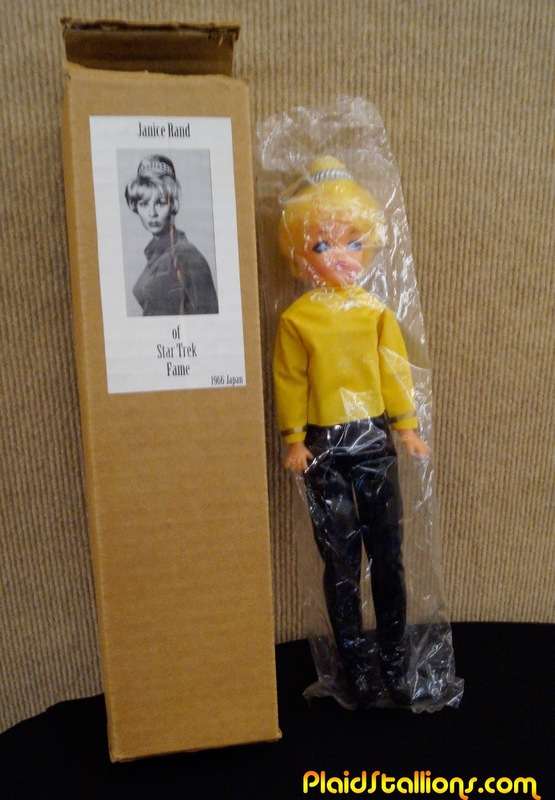 Something that didn't get mentioned in the recent "The Toys That Made us" was the first Star Trek action figure wasn't of Kirk or Spock it was of Janice Rand? This Japanese toy line is something I've seen in small black and white catalogs since I was a teenager but at the recent MegoMeet celebration I got to hold one and stupidly not buy this? What is up with me? 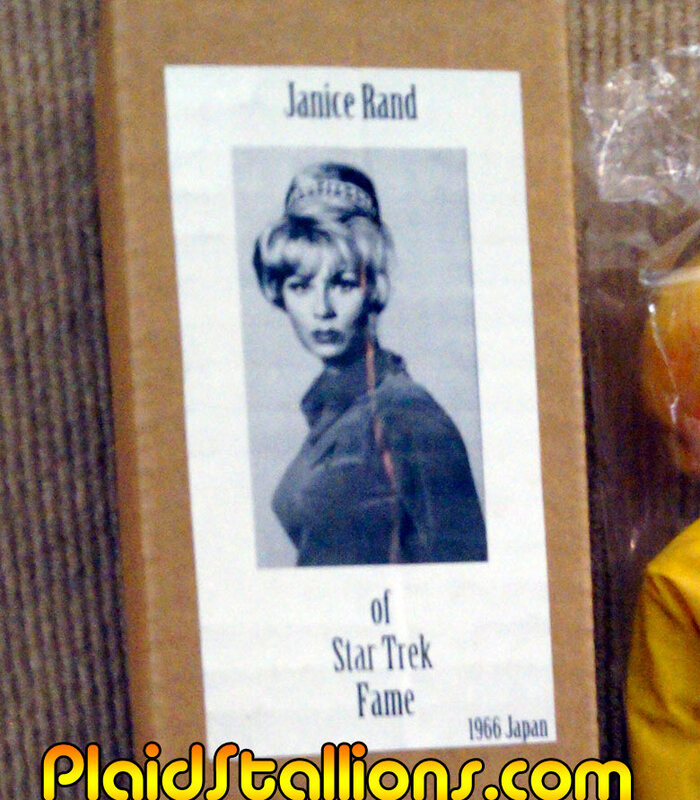 In 1966, A Japanese toy company decided to make a series of fashion dolls based on the ladies from various genre shows like Tara King from the Avengers, Agent 99 from Get Smart and Janice Rand from Star Trek. None of this was licensed and let's face it, it ain't a stunning likeness but the little Star Fleet uniform (complete with accurate insignia) is adorable. Oh wow, what a find. I've never even heard of this. Does seem funny to me they didn't do the miniskirt and got the uniform colour/service branch wrong though. They didn't though. In early promo photos, Rand wore command uniform with pants. makes me wonder if this doll's head, was originally for [Ms.] Jeannie, from the "I Dream of Jeannie", 1960s...TV show. Good Lord ! The likeness was uncanny ( to a cheap Chines barbie knock off )! Kenner Alien, He's a Cutie?